G(S) series diaphragm gas meters are designed to accurately measure natural gas, artificial gas, liquefied petroleum gas, methane and other gases. 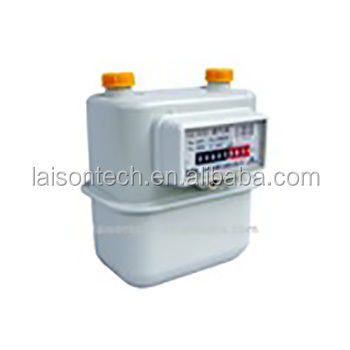 The concise structure design insures the assembly technique reliable, the meter is easy installation and without calibration during the legal service life, which is 10 years for natural gas and 6 years for LPG. The domestic diaphragm gas meter models include G1.6(S), G2.5(S) and G4(S) basing on the difference of flow rate. Products comply with international standard EN1359, OIML R137 and MID2004/22/EC. Connection Thread G1'1/4 or G 3/4 etc.